Update: we&apos;ve gotten our hands on the Samsung Galaxy Fold and shared our thoughts about the first huge foldable phone of 2019 in our hands-on. 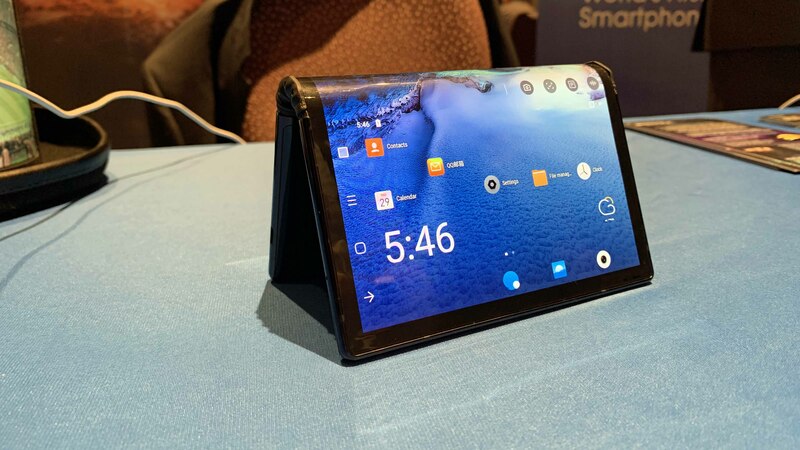 Foldable phones will be the big new smartphone trend of 2019 (aside from 5G phones, of course, though some will be both). In fact, plenty have been announced - and we&apos;ve gotten our hands on the first. These include the Samsung Galaxy Fold and Huawei Mate X, both of which you&apos;ll find information about below. But there are also rumored handsets, such as the Motorola Razr V4, so there’s plenty to get excited about and you can read about all of these foldable phones in one place here. So settle down, read on, and start saying goodbye to your old rigid handset, because the future is flexible. The Samsung Galaxy Fold - which for a long time was rumored to be called the Samsung Galaxy X - has been announced and we&apos;ve even gotten our hands on the device. Announced alongside the Samsung Galaxy S10 range, the Galaxy Fold has both a 4.6-inch HD+ Super AMOLED screen on the front and a foldable 7.3-inch QHD+ Dynamic AMOLED display on the inside, essentially letting you use the device as both a phone and a tablet. It supports three-app multi-tasking and allows you to seamlessly move from one screen to the other, with whatever content you were viewing switching between them as you open or close the larger display. It has a 4,380mAh battery, 12GB of RAM, 512GB of storage and a high-end Snapdragon 855 chipset. Cameras? 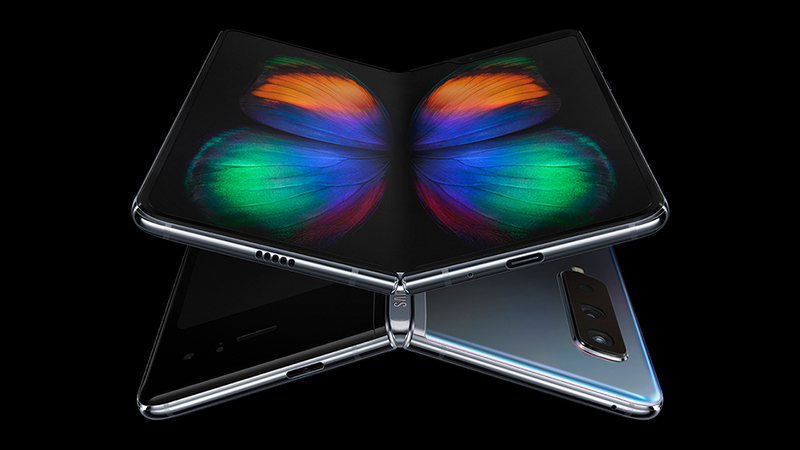 The Galaxy Fold has six: a 16MP lens and a pair of 12MP lenses on the back, a 10MP camera on the front, and a dual-lens 10MP and 8MP pairing on the inside, visible when using the large foldable screen. You can&apos;t buy the Samsung Galaxy Fold yet, but it&apos;s landing on April 26 in the US and May 3 in Europe. However, it&apos;s not cheap, coming in at $1,980 / €2,000 (around £1,515 / AU$2,760). This could be the first of many foldable Samsung phones, as the company has also patented a number of others, including one that you wear. Announced hot on the heels of the Samsung Galaxy Fold, the Huawei Mate X is a slightly different take on foldable phones. The phone technically has one rather than two screens, but it can be folded down from an 8-inch screen to a pair of smaller ones, with a 6.6-inch screen on the front and a 6.4-inch one on the back. That means the displays are larger than the ones offered by the Galaxy Fold, and the small screens also have less bezel than Samsung&apos;s take. The Mate X also has a 4,500mAh battery with fast charging, a triple-lens camera, a high-end Kirin 980 chipset, 8GB of RAM, 512GB of storage, and it supports 5G. It looks set to be even more expensive than the Galaxy Fold though, coming in at €2,299 (around $2,600 / £2,000 / AU$4,770). 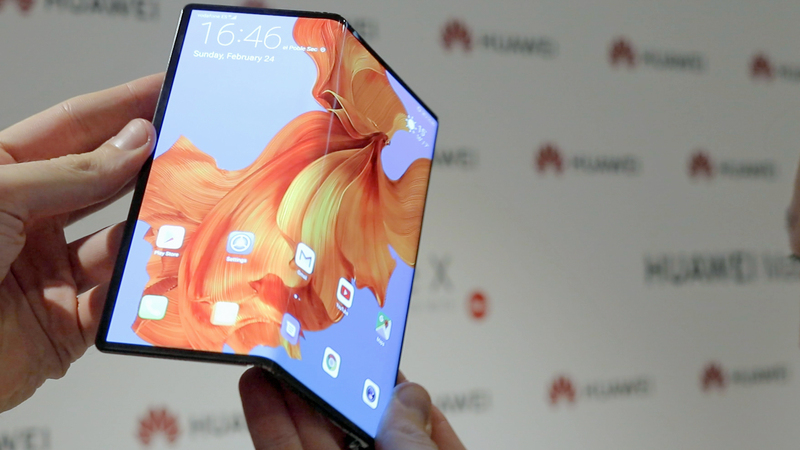 As with Samsung, Huawei looks to be fully embracing the foldable future, as it has said that half of its flagship phones could be foldable in two years. 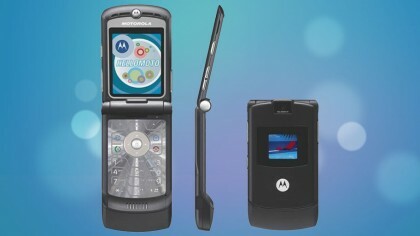 Motorola is rumored to be rebooting the Razr brand with the Motorola Razr V4, and rather than an old-fashioned clamshell design, it will apparently fold. Patents have shown how it might look, which is to say, basically like you’d expect a modern take on the Razr to, with a flexible screen rather than a hinge. The handset was rumored to be landing sometime in February, but that didn&apos;t happen. However, during a press briefing at MWC, Motorola&apos;s vice president and general manager Anthony Barounas, said: “If you go around the stores today, for me the phones all look the same. 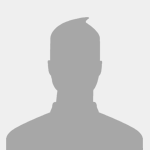 It’s difficult to see if it’s a Motorola, or [another brand]. How we differentiate to the consumer, show them something really different, that’s where foldables comes in. "And that’s where Motorola also has a very big investment. I can’t say much but we have one franchise that will have a very big impact there.” So that&apos;s close to a confirmation that something foldable is coming at some point. However, like most foldable phones it will probably be expensive, with a rumored starting price of roughly $1,500 (around £1,170, AU$2,010). 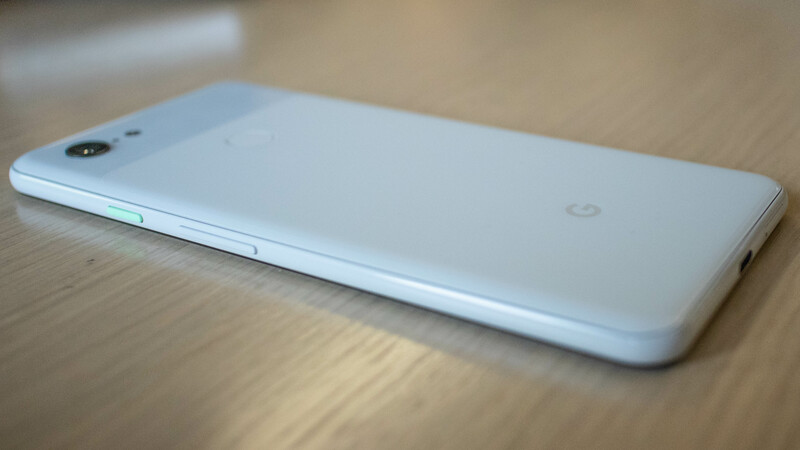 While that&apos;s expensive it significantly undercuts some others, and we might know the reason for that, as according to one report it has a mid-range Snapdragon 710 chipset (along with 6GB of RAM and either 64GB or 128GB of storage). Prior to that, we&apos;d heard rumors that LG has a foldable phone in the works, and that’s on top of the company having mentioned "smartphones featuring different form factors" in a recent set of financial results, and having patented a foldable phone concept. The company has also made a foldable TV already, so it seemingly has the expertise. In short then, while nothing is yet confirmed it seems like the question of a foldable LG phone is &apos;when&apos; not &apos;if&apos;. Though the company doesn&apos;t seem in any hurry to launch one. In the meantime, it has announced the LG DualScreen, which is a device that can clip on to the LG V50 ThinQ to add a second 6.2-inch screen. This is far from a true foldable phone, but it&apos;s better than nothing. TCL might not be a name you&apos;d expect to be among the first to launch a foldable phone and, well, you&apos;d be right, because it&apos;s probably not going to sell a foldable handset under any of its brands (which include BlackBerry and Alcatel) until next year. 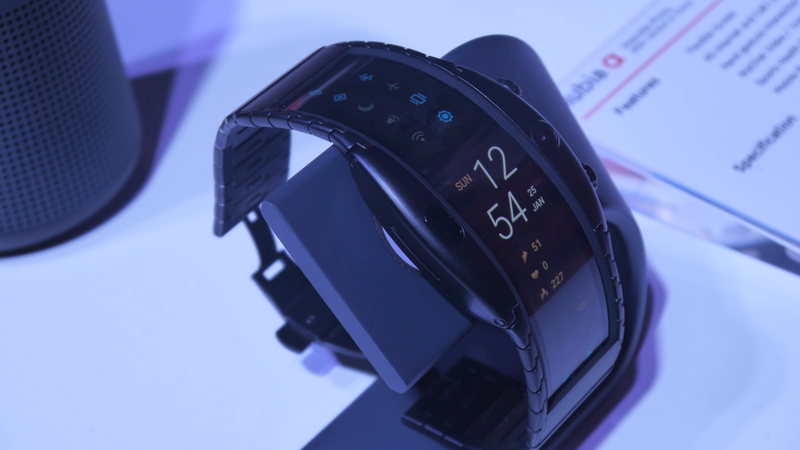 But the company has shown off a foldable concept device at MWC. This has a 7.2-inch 2048 x 1536 AMOLED display and four rear cameras, but we&apos;re not convinced the final foldable will have those specs, as one of the key features appears to be a relatively affordable price. The company didn&apos;t get into specifics, but for it to substantially undercut the likes of the Galaxy Fold and Mate X, we&apos;d expect worse specs than that. 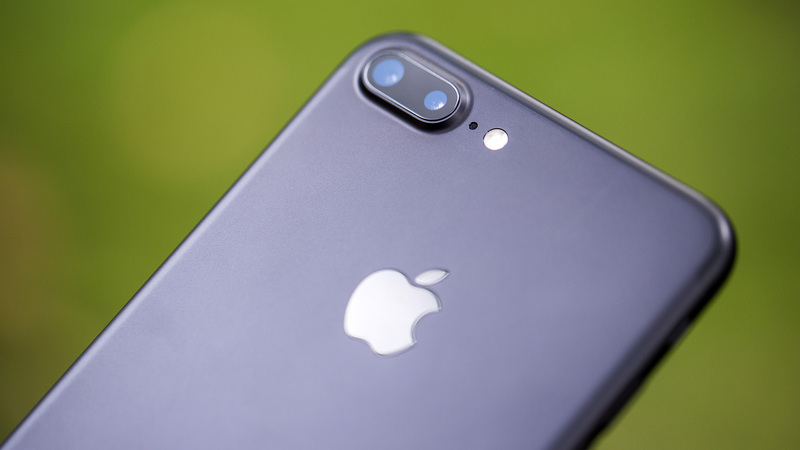 While not likely to arrive as imminently as some on this list, Apple could well have a foldable phone of its own in the works. Rumors of one first emerged in late 2017, with the claim that it would launch in 2020. We’ve also seen Apple patents for a folding screen more than once, so Apple is clearly at least exploring the idea. If folding phones prove practical then we’d expect Apple will get involved eventually, but the company usually waits for tech to be polished rather than aiming to be first, so we might not see one for a while. As with Apple, Sony also looks to be working on – or at least toying with – a foldable phone. Evidence for this comes from a Sony patent, detailing both foldable and rollable smartphones. Of course, patents don’t always become products, but with much of the rest of the industry looking in this direction it would be no surprise if Sony is too. However, we wouldn&apos;t expect one imminently, as the company has just announced a bunch of new phones at MWC 2019 and a folding handset wasn&apos;t among them. 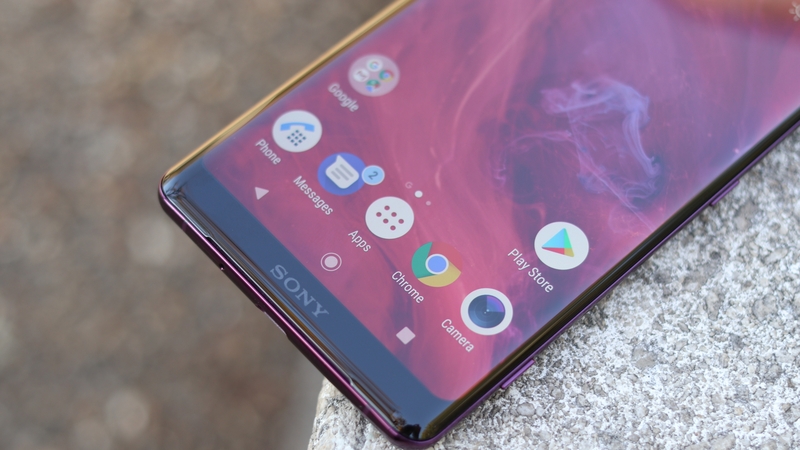 Instead, it seems focused on 21:9 screens, as seen on the likes of the Sony Xperia 1. 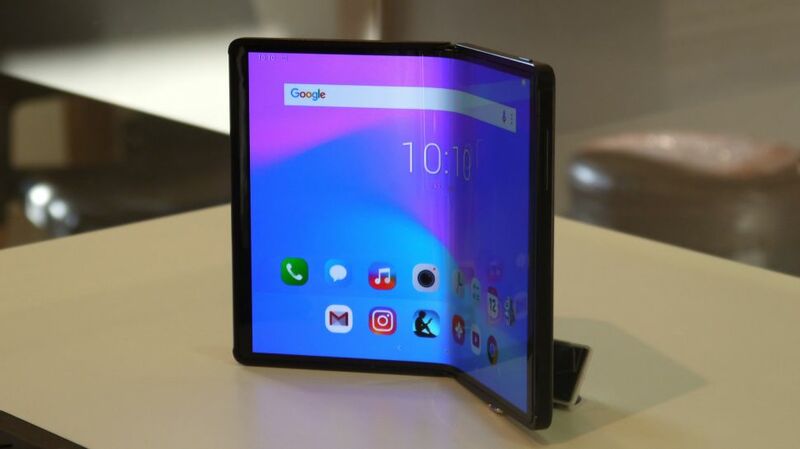 The first foldable phone to be announced was actually the Royole FlexPai. Currently you can only buy it in China (unless you’re happy with a developer version), and it’s not cheap at $1,300 (around £1,000 / AU$1,825). You might want to hold off on that import too, as in our hands-on review we found that it was both very slow and had a very slow camera. In short, it seems like little more than a proof-of-concept. A Xiaomi folding phone has been teased in several brief videos. They show a device with two folding hinges, rather than a single central fold. Don&apos;t get too excited just yet though, as this is little more than a concept device for now. As while Lin Bin, the co-founder of Xiaomi, has posted on social media that the "Xiaomi double folding mobile phone is coming," he also said "if you like it, we will consider making a mass production machine in the future." 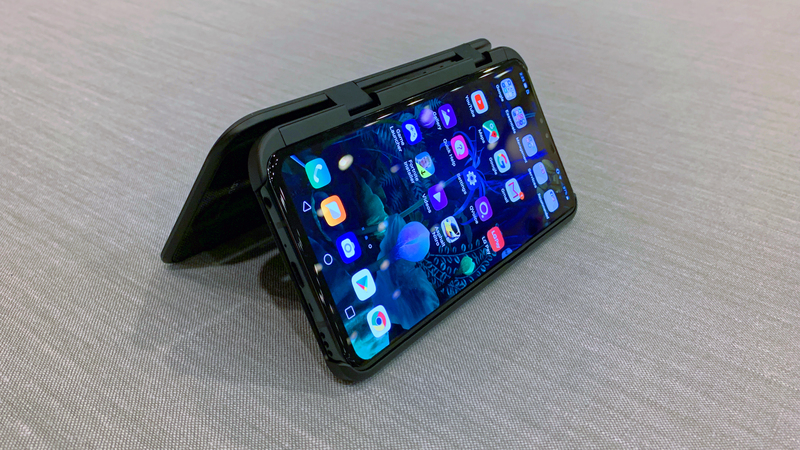 Xiaomi was at MWC 2019, showing off devices such as the Xiaomi Mi 9, but its folding phone was nowhere to be seen. Google could also be getting into the foldable game, as the company has patented several foldable designs. These are likely a long way off being finished products, but show for example a screen that would fold down on itself when not in use, and a phone with three folds, which allows the screens to stack on top of each other when folded. 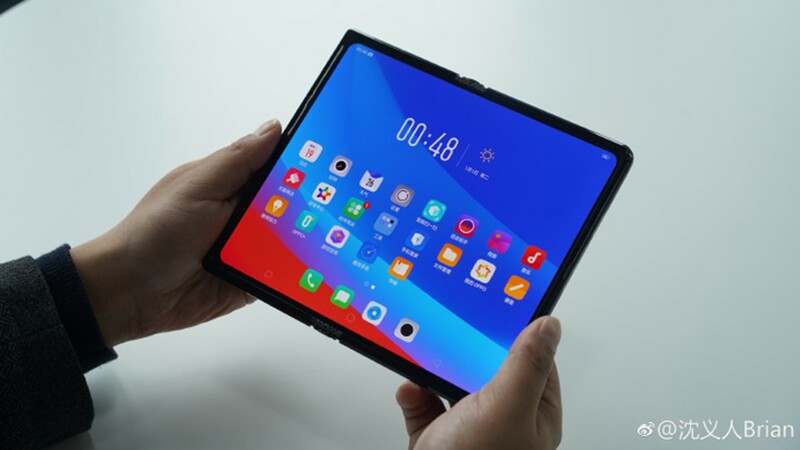 Oppo has shown off a foldable concept device that looks a lot like the Huawei Mate X, as you can see in the image above. 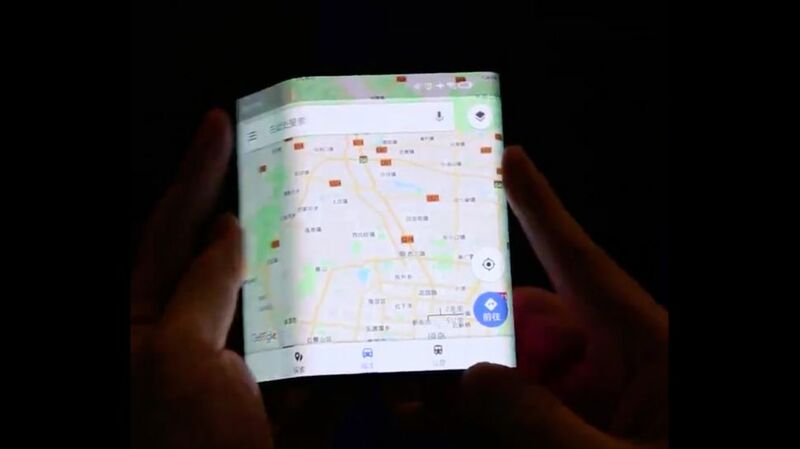 However, we don&apos;t know anything about the specs yet and you probably won&apos;t be able to buy this any time soon if at all, as the company has said it will wait and see whether consumers take to foldable phones before mass producing one. ZTE isn’t being left out of the folding action either, as the firm has announced the Nubia Alpha, a phone with a 4-inch foldable screen that you can wrap around your wrist. The phone lands in China on April 8 and is set to cost €449 (about $510, £390, AU$710). A release in other parts of the world is expected on or soon after that date. Additionally, ZTE has patented another foldable device, this time with a more conventional clamshell design, so if you don&apos;t want to wear your phone then ZTE may have a more suitable option for you sooner or later. Energizer is not a company we&apos;d have expected to be among the first to launch a foldable phone, but it is, at least in prototype form. 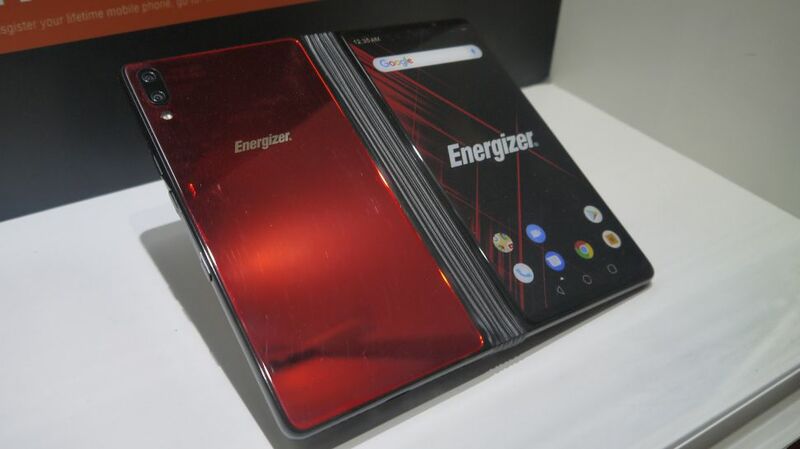 Shown off behind glass at MWC 2019, the Energizer Power Max 8100S has a smartphone-sized screen when folded and a tablet-sized one when unfolded. Folds aside, the highlight of this phone is likely its 10,000mAh battery, but it also has a 48MP main camera, a 12MP secondary lens and a 24MP selfie camera, plus a Snapdragon 855 chipset and 8GB of RAM. However, it&apos;s not currently clear if or when you&apos;ll be able to buy it. Vivo has launched its own sub-brand, iQOO, in order to hit the foldable phone market. It&apos;s early days for the device, with the only hint of its existence being several renders leaked online, but that&apos;s a lot more than some other foldables. One edge the iQOO foldable phone has, if the leak is to believed, is that it will launch at around CNY7,000, or roughly $1,000, £800, AU$1,450. If this is correct - which is a big if, of course - it will be a lot cheaper than the prices of most other similar devices.